If you’ve been in Australia on holiday or are a resident leaving for an extended period, you may be able to claim back the Australian GST you have paid on your large purchases. That laptop or camera, electronics goods, surfboard or expensive shoes which cost you over AUD300, or a combination of less expensive items purchased from the same store totalling AUD300 may be eligible. Make sure you get a proper tax invoice which details the goods, purchase date and the amount paid. You can even combine purchases made from the same store within a certain period to make up the amount. Until recently it was necessary to show the item to the customs officer at the TRS facilities in the departure lounges at international airports at Sydney, Brisbane, Melbourne, Perth, Cairns, Adelaide, Darwin and the Gold Coast. The facility is also available to the newly included international gateway, Melbourne-Avalon. The facility is also available at cruise liner terminals at Circular Quay and Darling Harbour in Sydney, Cairns, Darwin, Fremantle, Brisbane and Hobart. 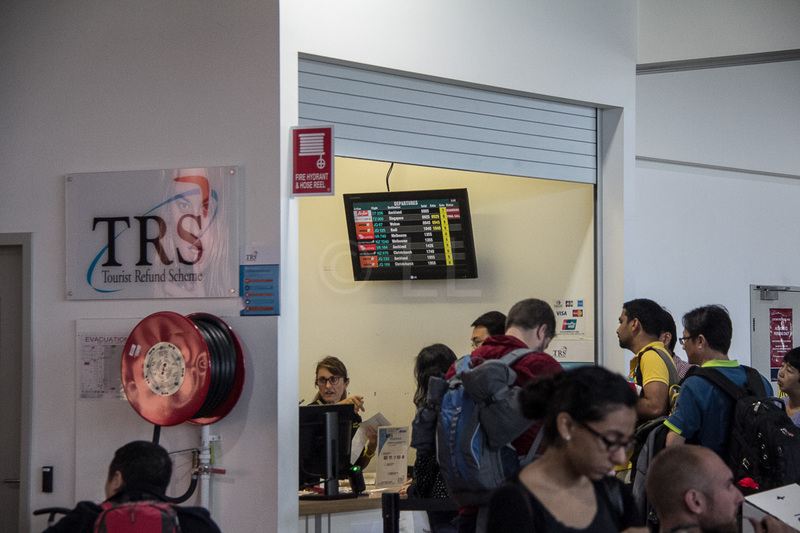 As the TRS Facility counter is located after Customs and Border Protection and Immigration controls, it meant passengers would be restricted to only items they could hand carry, which cuts out ‘big things’. Recognising this, the Customs Department has recently made available an app you can use on a desktop, or download to your Android or iPhone to complete all your details before you go to the airport or port. The information is stored as a QR code which is your TRS claim code for the officers to scan. When you check in, you need to tell the counter staff that you want to make a GST claim and they will call the TRS facility and an officer will come out to sight the goods in your check-in baggage so you can then send it in the hold. You will need to leave plenty of time for this as the officers may be quite busy if there are lots of flights leaving at the same time. You must also have the QR code and your original Tax invoice (receipt) ready for them to sight. They will stamp the invoice to acknowledge they have seen it and you then present yourself with your phone/QR code and stamped invoice at the TRS counter when you’ve gone through the Immigration and Border controls. They will also ask for your passport and boarding pass. 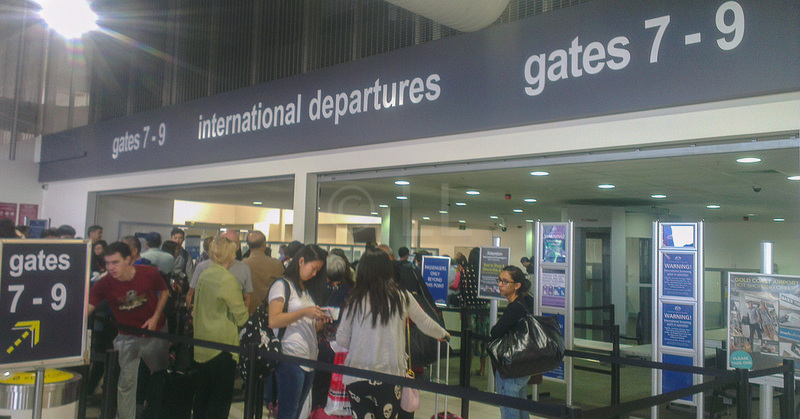 As these can also take quite a while, say your goodbyes early and go in so you don’t have to wait in a queue inside. If you have made a purchase at a Duty-Free store during your travels, you’ll need to look for a counter like the one in photo, to verify that the item is with you and produce your receipt. For more information, the Australian Customs website has the answers in their FAQ page. To download the app for your desktop or other devices, this page has all the links for various devices and also answers questions on how to use them. Q: I brought all my stuff to send overseas but its all in a shipping container but I have all my receipts so Can I still claim Gst please? Hi, I think your best option would be to quickly check with your shipping agent as the authorities need to confirm that you are actually taking the goods out of Australia. They would be able to advise you on the procedures for goods that are shipped rather than carried with you on a flight out. I bought a new surfboard. How do I get them to see it? Hi Steve, It will be hard to squeeze that in your hand luggage! First, use the app as mentioned in our story, to complete the forms. When you get to check-in, speak to the counter staff (or go to the airport information counter, that might be quicker) and they’ll direct you to the counter or call the officers, who will come out to verify the item. After that you can check in your surfboard and go inside to complete the process. I got my GST refund from Perth 2 week after my trip to Perth. I think it is the fastest refund that I got so far. Thanks so much for your feedback. Definitely a ‘tick’ for the Customs Perth and helpful info for fellow travellers. do you need any stamped on the receipt? You must make sure it’s a proper tax invoice, but it doesn’t need any extra stamp. If you are buying an expensive item (e.g. electronics, jewellery etc) ask the shop to include your name on the tax invoice. The name must match the name on your passport. Do you think the GST office will be open at that time to claim the refund of tax. Hi, It’s our understanding from the information provided by the authorities, that the counter will be open during the airport opening hours. If aircraft are arriving or departing, they will need to be on duty for the normal checks anyway. It would be safest to arrive a bit earlier at the airport to ensure you have enough time for the formalities. Don’t forget to download and use the app – the link is in the article. I wish to claim back the GST component on an ipad recently purchased. I have lost the original receipt into the ocean along with my entire wallet with all cards etc. I have a duplicate receipt from the purchasing store. Can I claim the GST back or not with this duplicate receipt? I would suggest that if you have a police report or anything else that supports your reason for the loss, you could give a copy/show it during submission, along with the duplicate receipt. Otherwise, just give the duplicate and explain if they ask. If it contains all the same information as the original it should be accepted. All the best! Hi, I claimed tex refund at Sydney airport before leaving at 4/9. The officer checked my reciept and item and slashed my card to back my tax i think. And I recieved some paper. But I don’t any tax refund on my account by now. Was there any problem or is it usually delayed a couple of days? Hi, Refunds usually take up to two or three weeks, so you should hear something from them or see the refund in your account soon. If you have not received it after two weeks, I suggest you contact them directly with your claim details. I’m going overseas in a couple of weeks. I’m looking at buying a compact Digital camera to take with me. How is duty free calculated? The camera is approximately $570. Hi Nicole, I’m assuming you intend to buy your camera before you go to the airport. If you buy from a duty free shop (e.g. Duty-free Downtown) which has no duty included in the price, you probably won’t be able to use it before you go and you’ll need to show it (and receipt) to the inspection officer after you pass through Immigration and security controls as you go to board your flight. If you’ve bought it at a regular shop, the duty will be included. Make sure you take your Tax invoice with you as you need to show it to the officers at the claim counter. If you use the app (as mentioned in the story) this process is very quick. They will return you 10/11 of the price you paid, which is the included duty. Please note that if you have an early morning flight, not all counters may be manned. I have dual citizenship. Can I use a passport that is different for the GST claim from the one that I use to depart from Australia? Unless your passport number is stated in your Tax Invoice, it shouldn’t matter which one you present for verification. An Australian passport can be used to make a claim. So what you are saying, if i’m not mistaken, is Australian can also make the claim if they go oversea and bringing goods with them without intending to bring them back? Example: Paul is an aussie, he knows A girl name as Lan in Thailand and decide to buy an iphone x as a gift for her when he goes to Thai. He can claim that GST on the phone at the airport, right? I’m thinking of shipping a IKEA kitchen and bathroom in my household items overseas in a shipping container. Can I claim the gst on these purchases back? Hi Frank, I think for this one, it would probably be unlikely given that there is a time limit between purchase of the item and your departure. However, you should contact the Customs people directly. Have you checked if there’s an IKEA in the country you are moving to? The rules are pretty clear on this one. If you’re intending to bring the item back to Australia, you can’t claim GST. Have a good holiday. 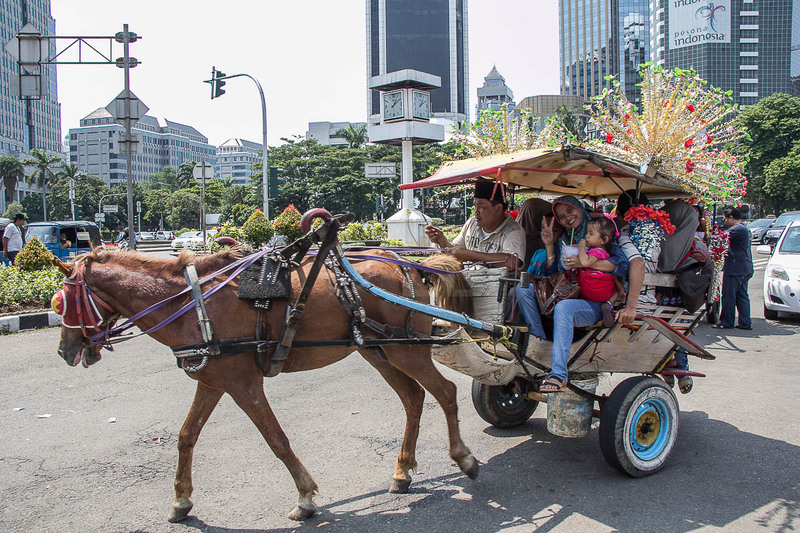 You can, however if you bring it back into the country, and if the total value of the laptop is greater than the duty free allowance ($900 per person – you can pool the total if you are travelling with family etc). Then you are supposed to declare it and pay GST on your return. If the total value of the laptop is less than $900 and you’re not bringing back any other duty free you’re ok. If the laptops is $180.01 or more and you’re travelling alone or with just one other person, you would have to pay ALL the GST back on your return, in theory. Hi, my flight (international) departs very early in the morning. Will the TRS verification counter (office) be open before 6am (Adelaide) so I have enough time to get the verification, check-in and send luggages, go through the security screen, out-going custom and then get refund? They may not be open that early, given that Adelaide Airport is quite small. I suggest you contact the Border Force office to check, they should be able to advise you. You can contact them using the links on the FAQ page, click on the link in the article. As suggested in the article, download the app and complete your details. Hi I am from NZ and would like to know can I claim back the GST on an Item ( new BBQ) I want to take back hm. The problem is I want to put it inside our motor home which will be returning by ship with out us. We will be flying home? You could confirm this (in case they’ve made any changes, but not updated the website) by calling them: Telephone: 1300 555 043 or by Email: [email protected]. My wife and I are going on a cruise to Hawaii in April next year. I want to replace my camera before then to prepare. Can I claim the tax for it on the way out of Australia and if so is there any time constrictions or other conditions I need to worry about? Many thanks. However, as the facility “is also available at cruise liner terminals at Circular Quay and Darling Harbour in Sydney, Cairns, Darwin, Fremantle, Brisbane and Hobart.”, the provision is there for you to submit your claim. Perhaps it would help to read Rod’s comment to the story. Enjoy your cruise and please feel free to give us feedback on your claim when you return. Hi there, i bought a ring but I purchased it on payment plan. The jeweller/merchant didnt give me a tax invoice (maybe they forgot to give me or they cant give one because it is not fully paid, im not sure). What i have is the payment plan and the receipt of deposit payment. Can i able to claim the gst on the goods that i purchased? You need to go back and collect a tax invoice showing the full payment, to ensure you have proof of full payment. That would save you trouble explaining at the airport and likely disappointment. I bought a television in Adelaide going overseas in 2 weeks time. How can i claim the GST refund which cannot be in carry on luggage. could you please suggest how can i do that in Adelaide airport. Hi Naidu, I suggest you contact the Customs people direct as per the link in the article. They would be able to give you the most up to date and official, advice. if i purchase a phone x as a gift to my brother, would i be able to send it overseas with my cousin and claim GST? The important point is that the item leaves the country. Therefore your cousin should be able to make the claim as he leaves Australia. Hi Kathy, It looks like you fulfill all the requirements regarding time frame of purchase/departure, amount of purchase etc. Using the app will definitely save you time filling in forms etc, but you still need to allow plenty of time at check-in (if they need to check the items if they’re in your checked bags), and at least half an hour at the counter after security. Make sure you have your tax invoice showing the details, including tax paid, when you are at the airport. All the best! Hi Lesley we were really late for our flight so didn’t have time to line up for the GST refund. Do you know if we can still claim the tax back via online and how to do this if it’s possible? Thanks. They need to view the items, so even if you arrive at their desk later than half an hour before your flight leaves, they may turn you away. That happened to someone we knew recently. It’s most important that the see the actual phone. I have made claims before on various items and left the country without bringing the box. I’ve never been asked to show any of the boxes. Hi, I have submitted my application for claims more than a month ago when I travelled. Haven’t received my claim until now. I’m back now in the Philippines. Do you know where I can contact them? Thank you. Hi Lesley! I’m going to buy a laptop in Sydney and then I’ll do a stop in Tasmania before leaving the country. Can I claim my tax back in Hobart’s airport? And I’m here in a work and holiday visa does that affect my eligibility for the refund? And do I have to buy the laptop with a credit card under my name or the refund is due into an Australian bank account? Thank you! This is an interesting question because although Hobart is designated as an international airport, there aren’t any regular scheduled international flights. If you are catching a direct international flight immigration facilities should be available, but you should make your claim at the airport where you do actually leave the country. (i.e. If you’re flying to Melbourne or Sydney to connect to an international flight, do it there.) Your type of visa doesn’t affect your eligibility. As for the refund, you have a number of options: This can be paid to a credit/charge card (Amex, Diners, JCB, MasterCard, Visa), an Australian bank account if you have one, or by cheque (which can be paid in a number of different currencies). I have purchased an e.bike whilst on holiday in Aus. The company I bought it from are going to Rebox for shipping it is quite a large box how and when should I get it inspected by TRS to claim tax back. leaving from Brisbane around 2pm. Thank you. Firstly, I suggest you download the app as mentioned in the article. That will save you time with the form filling. When you get to the airport (allow a bit of extra time), let the check-in people know you need to have the item checked for the TRS claim and they will advise you. Once the item has been checked (You may have to open the package, so have tape ready, or wrap the box after you’ve done this. (The bag wrapping is along the entrance side of the Departure Hall). Once you’ve checked the box in, head to the Departure entrance and go down to complete the immigration and security checks. The TRS Claim counter is to your right, through the entrance just past the security checking area. You need to allow at least half an hour once you reach the counter (not the tail of the queue) for them to process the claim, though it usually only takes a few minutes. I bought a bag with a value over an 300 AUS with TAX invoice. 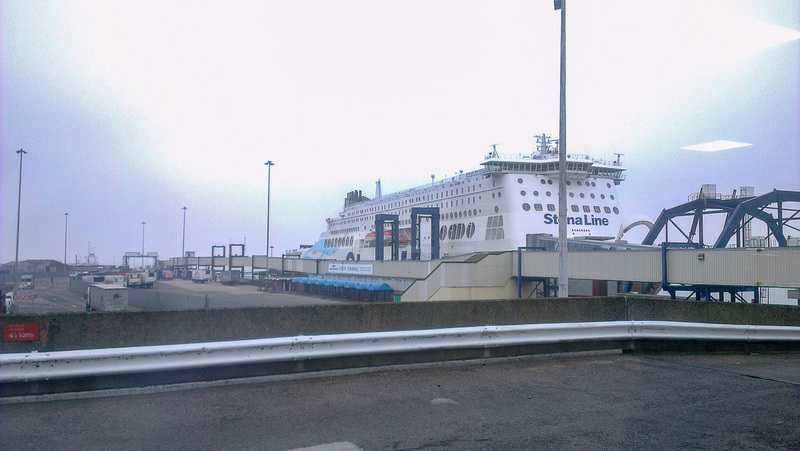 I am going to travel to New-Zeeland for work, for 3 days. My nationality is Belgian. Can I claim the GST? I suggest you submit the claim, but explain this to the officer on duty. They will be able to advise you. If they allow the claim, you may need to declare it as part of your duty free allowance on your return to Australia. You can ask if this is possible. • cheque (cheques can be paid in a number of different currencies). Customs and Border Protection aims to process credit/charge card and Australian bank account refunds within five business days and post cheque refunds within 15 business days. That should be fine. As long as you made the purchase within 60 days of your departure and have the relevant tax invoice, you can make the claim from any international airport. I am here in Australia for few weeks. So I don’t have bank account here in Australian bank. Department does not do cash refund. So how do I get the refund? In bank/credit card of my family here in Australia? My bank account in my own country? This list is on the FAQ page in the link in the story. You need to scroll down for this information. Im going in holidays for 10 days in NZ, then coming back to australia to finally leave to europe for ever. Can i claim the get when leaving to NZ? and then return with the good (phone) and then leave australia with it? As long as you purchased the phone within 60 days of your claim, you should make your claim when you leave for good. If you will only be in transit when you return to Australia after you leave NZ, you may have more time when you first leave for NZ. I would check with the people at the Claim counter as you leave for NZ, they will be able to advise you accordingly. Make sure you have all the documents ready with you. you keep saying 90 days, but isn’t it 60 days? As I’m checking online information. Thanks for noting my error, Ignacio. You are correct, it is indeed 60 days. I will correct the earlier response. I had filled the GST form at perth airport and put it in the Dropbox with all the invoices as instructed. Its been 12 days.will I get my refund. i have submitted my TRS form in a box at the airport ,as the counter was close, I still have not received any respond from the authorities. What do I do next? i am indonesian and i’m going to oz in october. i’m planning to buy iphone xs max there. can i claim the GST and if i buy cash how will the GST be refunded to me? If you have the Tax invoice showing you paid AUD300 or more, you can claim. There are a number f payment options you can choose from. Check the link in the story to their page (there are a couple of pages, so scroll down). It’s currently being serviced until tomorrow, according to the message on the site. is it 10% of the cost of the phone? thank you for the reply ? It is a little bit less than 10%, because the tax of 10% is added on to the price before tax. Hi my name is Rajneet and I am on student visa. I am planning to buy iPhoneX max for my dad who is in India for his birthday and it will cost me like $2,049. I m going India in January, just wandering how much GST will be refunded? Hi, If GST paid is 10%, you can divide by 11 to calculate the amount you will be refunded. The Customs Department has an app you can use on a desktop, or download to your Android or iPhone. Use the app to complete all your details before you go to the airport or port. This information is stored as a QR code on your device. This QR code is your TRS claim code for the officers to scan. 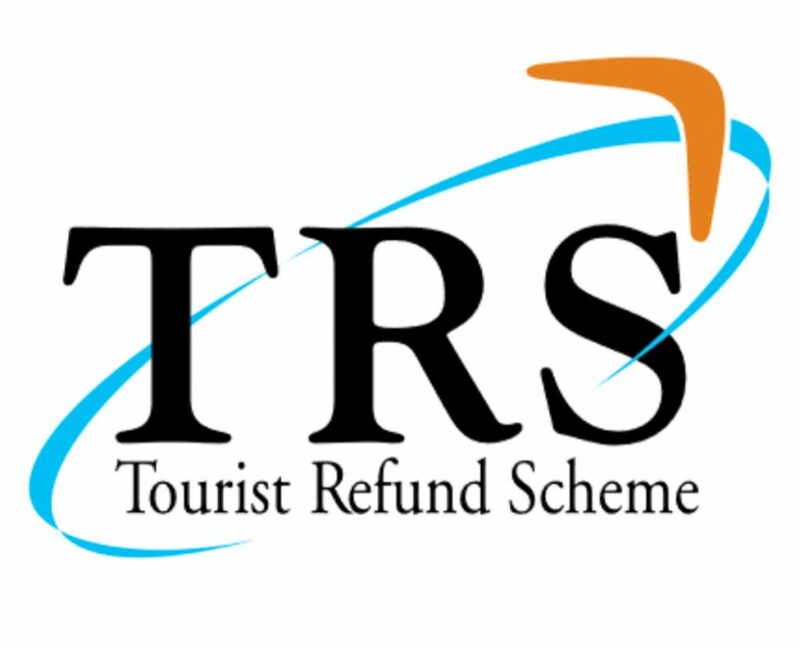 You can download the app – key in ‘Australian TRS refund’ and hit ‘search’. It should come up at the top of the list. I am an Australian citizen who recently purchased a mobile phone about 3 days prior to flying to India. Unfortunately, I was unaware that I could claim the GST back at Sydney airport amd hence missed out on this. While I have the original invoice, is there a possibility I could claim it while I am here in India or perhaps when I return back to Australia? I travel back to Australia in about 15 days (which will be 3 weeks from the date of purchase). I have the original invoice, but I will not be carrying the mobile phone back with me. Looks like you’ve missed out on this one. You can only make your claim as you leave Australia and must also be able to show the item for verification. I am travelling to India. I have lot of luggage but its a lot and I cant have everything in carry on luggage due to weight restriction. How can i claim for products which I have bought and have receipts but are packed in check in luggage. You can still make your claim, they just need to see the purchases match with the invoices. Plan your checked baggage packing so you can take the items out easily to show the officers before you check the bags in. You will need to allow the time to do this so get to the airport early. Some airports have easy to find counters (Avalon is one) but check with the information desk at your airport and they’ll tell you where to go. Other than this, the process is the same as making the claim for hand carry items only. Happy travels! I am a Chinese visitor and now in Brisbane. I bought three bottles of red wine from an Australia website. If I can get the original receipt, can I claim the GST back when leaving Australia within 60 days? Thanks. According to the information on the TRS pages, “travellers can claim wine under the TRS”. You must show them the wine and the original tax receipt when you make the claim. hi I have a laptop but I have opened it just to check that everything is alright, now I am flying to overseas in few weeks can I still claim the GST back? You are allowed to use items except foodstuff and wine etc. You can still claim if you have the original tax invoice for your laptop and all the related paperwork is completed. Make sure you leave within the time frame allowed. Can i add together items bought or does each item have to be over300$? Also item bought at different times and stores. I have numerous bills of purcahses i did in Australia but i cannot keep all those in my hamd luggage as i have to keep other stuff for my journey in it, can i claim the gst of my goods are in the check in baggage? If your purchases fulfil all the other criteria required, you may carry them in your checked bag. However, you’ll need to get them verified before you check the baggage in. If possible pack the items together so they are easy to identify and reposition when you re-close the bag. Check at the airport information counter for where to find the GST verification officers. First of all, THANK YOU for taking the time to answer ALL the questions. Such valuable information. Because I was already late I couldn’t submit and process my GST refunds so I left the receipts with my son who was leaving 5 days later to submit on my behalf. We’ve just received the cheque in the mail but it’s in AUD and a local cheque (Westpac) and not a cashier’s order which will be honored and recognized by my local bank. I can’t cash the cheque at my local bank now. What can and should I do? The best option is usually to have the refund made to a credit card as there are really only these three options: paid into an Australian bank account, to a credit card, or by cheque (in limited currencies). If you or your son have an Australian dollar account in Australia or elsewhere, it should be possible to deposit the cheque there. Thanks Lesley for the speedy reply. What if we have none of the above? Can I return the cheque and request for another form of payment? If yes, who do I contact? What would be the best option in your opinion? And how long are Australian cheques valid for? Do they have an expiry date? I’m sorry, I can’t confirm the validity period of the cheque, though this may be noted on the cheque itself. Hi lesley.. can i still get a gst refund if i bought a total amount of 300 aud from different stores? Ex: spent 100 aud from aldi, 100 aud from woolworths and 100 aud in coles? Sorry, you’re out of luck for all as you have to show the actual purchase (i.e. a physical article as opposed to an experience or activity). In addition the AU$300 is for the total amount from one retailer, even if the purchases are on different days or different branches. So the total would all have to be from Aldi stores, OR Woolworths stores, OR Coles stores. How do I claim GST when I miss the TRS counter at the Perth airport? Can I claim by online after that ? It will be difficult as they need to sight the goods to make sure you are actually taking them out with you. I’m from Singapore planning to drop by Brisbane for about 48 hours, before taking a flight to NZ, and coming back to Singapore directly from NZ – no stops. Wondering if I am able to claim tax from Brisbane airport or not? If you’ve bought the items in Australia within the period allowed and they fulfil all the other conditions, you can submit your claim as you leave Brisbane for New Zealand as you aren’t intending to be stopping there on the way back to Singapore. does this mean that I can declare my bag without having to pay back the GST? I want to confirm this. also when I fly out from home will my bag have to be in the original packaging to claim tax refund or can I use it as a carry on? without it in the box, dustbag and shop bag. As you have noted, technically it’s ok, but you need to be aware that border force can change the rules at any time. They do occasionally have crackdowns, so be prepared to be interviewed about your intentions on the way out and flagged for an inspection on the way in. As always, the usual caveat that is that if you’re not sure, always declare it. They will more than likely clear you. You can carry the bag without all the packaging, they just need to be able to sight it to ensure it matches the invoice and is being taken out of Australia. Another thing to remember – as your purchase is over $1000,your tax invoice must include either your name, home or mailing address, email address or passport number (or a combination of these) to qualify for a TRS claim. If not, your claim may be rejected. There are reports that Border Force are currently monitoring residents carrying expensive items out of Australia, so please make sure you declare the item when you return to Australia to ensure that you have it included in your total family allowance along with any overseas purchases, without any penalty. I am an Australian resident , NZ citizen, who has been living in Sydney for 30+ years. I have 3 overseas trips planned and have just found a nice piece of jewellery I would like to claim the gst on . The limitations are mainly with regard to bringing the item back in to Australia with you as these depend on the time you are away and whether the item can be included in your duty free allowance when you return to Australia. You may also find our reply to Ellie (25th February 2019) helpful. If you’re in any doubt, it’s always a good idea to check with the officers when you are making the claim.